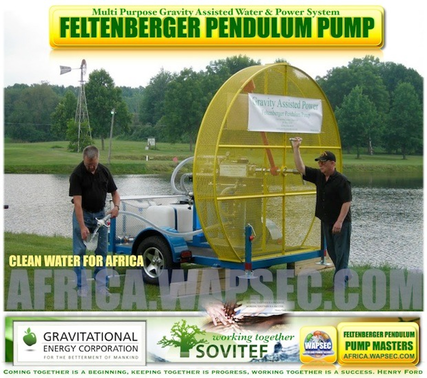 The Feltenberger Pendulum Pump with Water Purification is Human Powered, but an extraordinary pump uses gravity to assist you instead of gravity working against you. 1 x human, 1 x pump (with filtration) = 1,000 gallons of safe drinking water in an hour. With an easy human action, like pushing a child on a swing, the Feltenberger Pendulum Pump gives you the strength of 5... from the dirtiest of water source.